1. 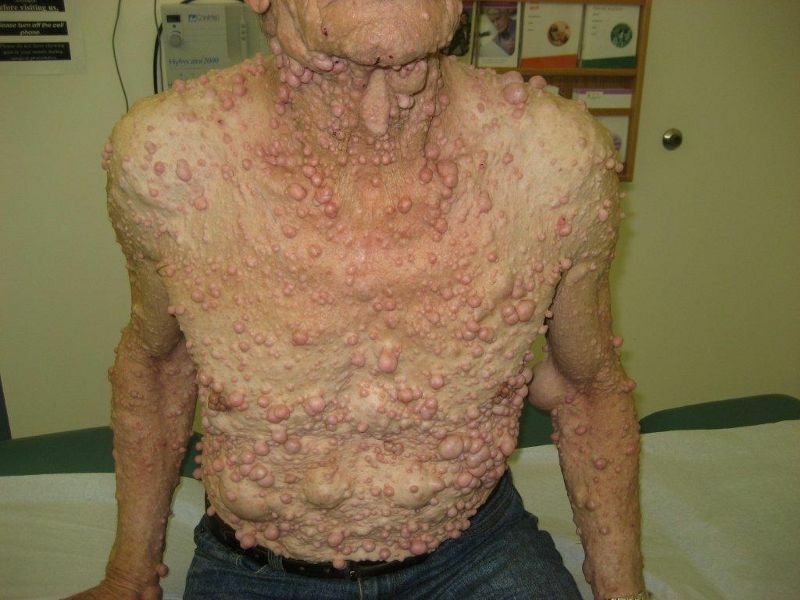 Neurofibromatosis (von Recklinghausen disease) was first described in 1882 by the German pathologist, Friedrich Daniel von Recklinghausen (December 2, 1833-August 26, 1910). 2. 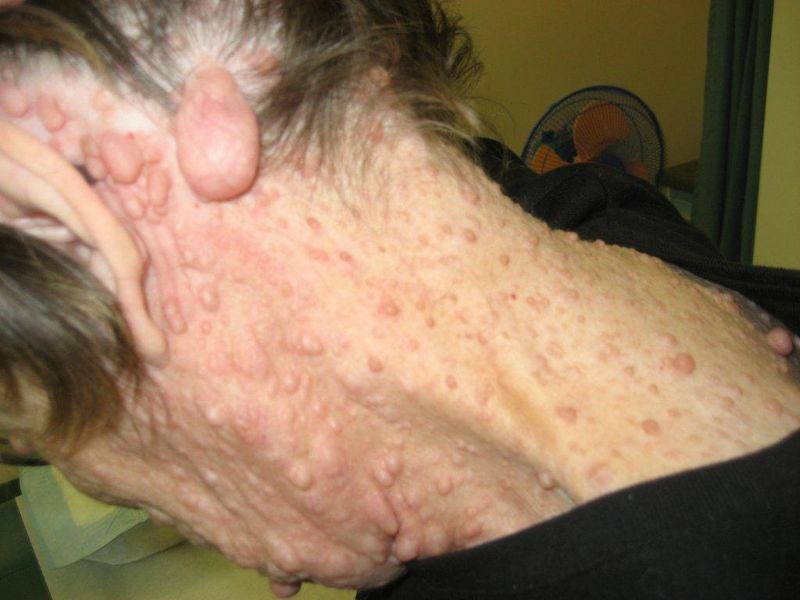 Neurofibromatosis (also known as von Reklinghausen disease) is a genetically-inherited disorder in which the nerve tissue grows tumours (neurofibromas) that may be benign or may cause serious damage by compressing nerves and other tissues. 3. They develop disordered skin pigmentation and “cafe-au-lait” spots. 4. 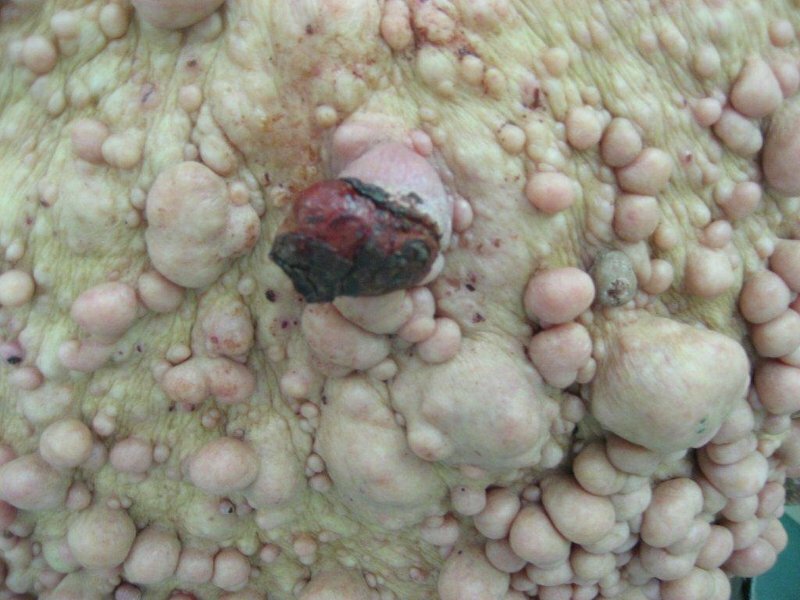 The tumours may cause bumps under the skin, coloured spots, skeletal problems, pressure on spinal nerve roots, and other neurological problems. 5. 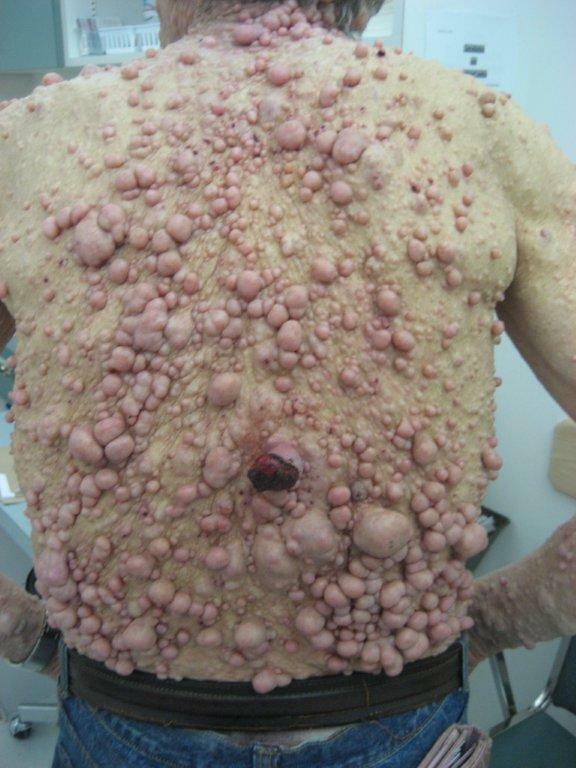 Neurofibromatosis is an autosomal dominant disorder, which means that it affects males and females equally and is dominant (only one copy of the affected gene is needed to get the disorder). If only one parent has neurofibromatosis, his or her children have a 50 per cent chance of developing the condition. In about 50 per cent of cases there is no other affected family member because a new mutation has occurred. 6. There are two types of neurofibromatosis: type 1 (90 per cent) and type 2 (10 per cent). 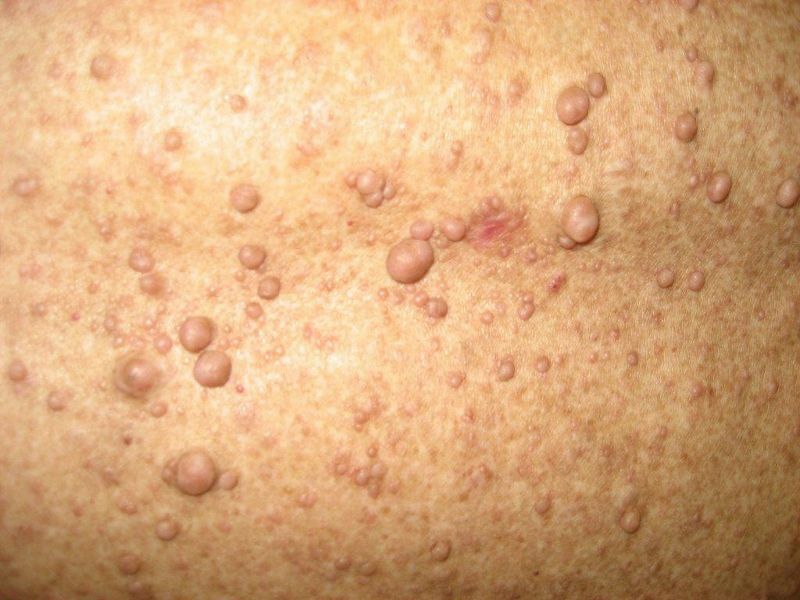 Neurofibromatosis-1 is found in approximately 1 in 2,500-3,000 live births. 7. Major symptoms are often due to involvement of optic (blindness) or acoustic (deafness) nerves or the spinal cord. Less than 3 per cent of the tumours can turn into cancer – such as neurofibrosarcomas. 8. There is a high incidence of learning disabilities or cognitive deficit. 9. There is no cure for the condition itself. Surgery may be needed when the tumours compress organs or other structures. 10. Joseph Merrick, the Elephant Man, was once considered to have been affected with neurofibromatosis type I. However, it is possible that Merrick suffered from the very rare Proteus syndrome. This however has given rise to the common misconception that Neurofibromatosis and “Elephant Man Disease” is one and the same (Wikipedia). 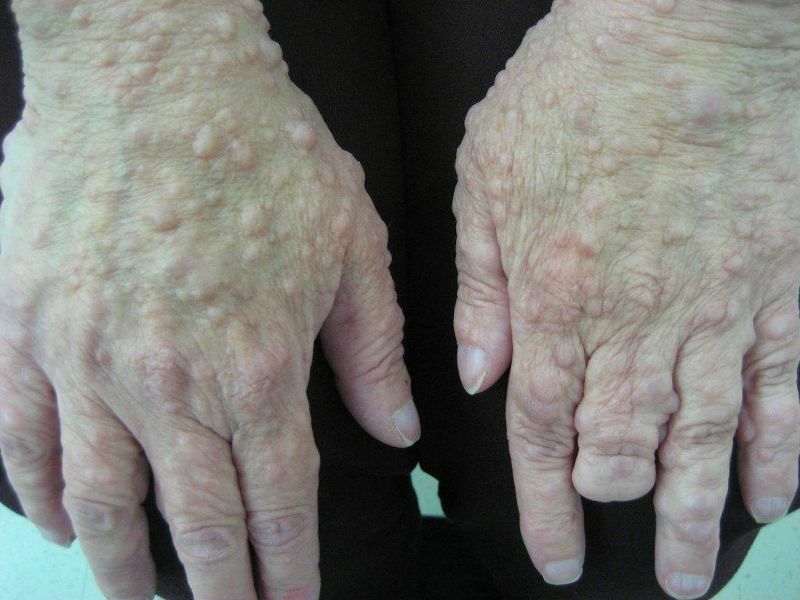 Shingles Vaccine may be Viewed as a Quality of Life VaccineJune 19, 2012In "Interesting Cases Medicine Hat News"
Aside the parent giving the disease to the child – is there any other form of way he/she can pass this disease? Previous PostPrevious Mr. Heart, Who’s Your Daddy?